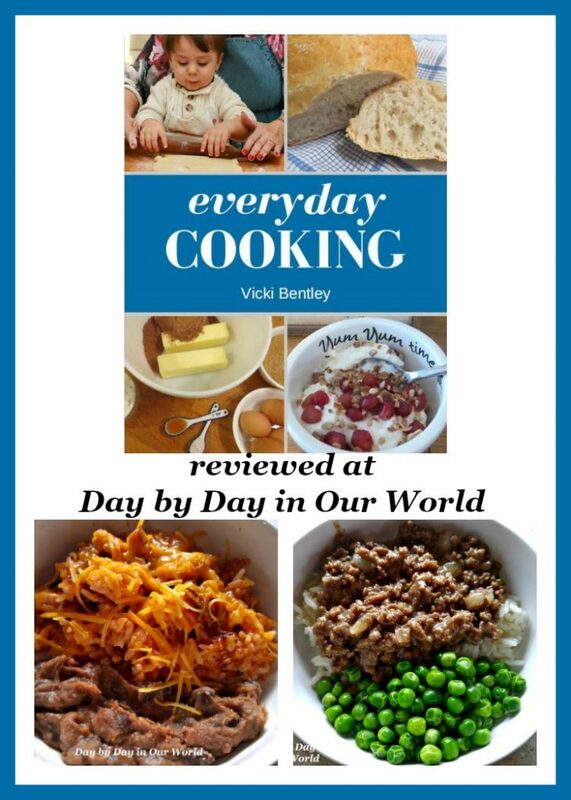 Find Inspiration and Instruction in Everyday Cooking was made possible with a digital copy from Everyday Homemaking for review as part of the Homeschool Review Crew. A few years ago, we reviewed the original edition of Everyday Cooking. There were a few dishes that were enjoyed by the whole family. However, I kept forgetting to reference it later. Having this opportunity to review the greatly expanded second edition was such a blessing. This established website has the tagline of supplying practical ideas for busy families. Vicki has been serving other homeschool families for years with this site being one way she does it. What was originally a single chapter in a book for homeschool families (Home Education 101) has now gone through a second iteration. With almost 200 pages, it is packed with plenty to help you get nutritious dinners onto the table. There is even a bit in the book about using it as a curriculum with your homeschooled student. Once again, I have really enjoyed reading through and testing some of the recipes in the book. Since we have been without a full kitchen to use the last few week (and will be that way for a while), I’ve had to skip a few of the dishes I’d love to test. Ovens in the RV are just too tiny for making much of anything. However, we are fortunate to have a pressure cooker with us. Two recipes that worked well for us and got thumbs up were Chicken Taco Rice and Hamburger Gravy. The Chicken Taco Rice was made using the pressure cooker. 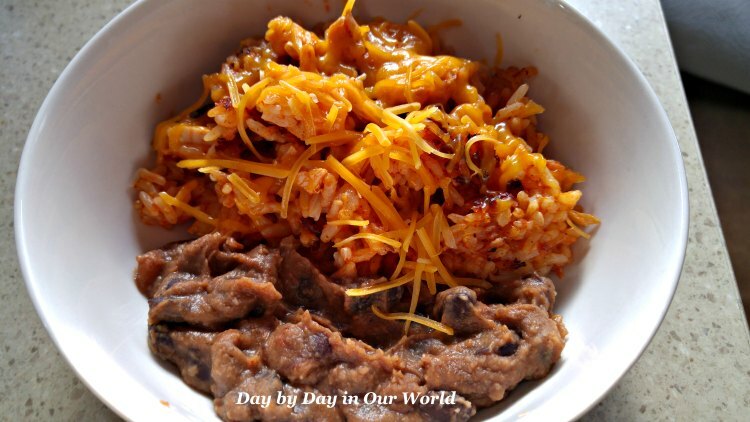 The boys adore beans, so I made a mix of refried and black beans as a side. Then my carb lovers used it all to fill tortillas. I shunned the carbs and ate mine in a bowl. 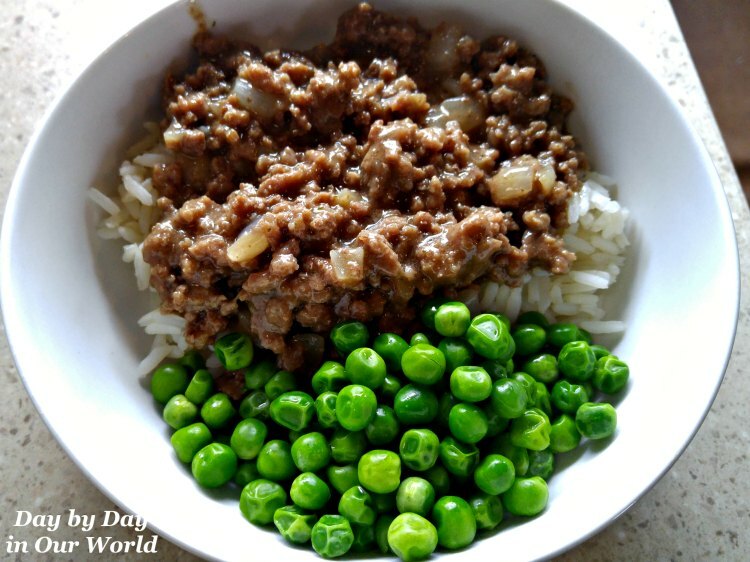 Hamburger Gravy is one of those super simple main dishes that the teens can make, too. We served it over rice when we made it. But, my boys are saying how they want to tweak it in the future (maybe some jalapenos!) and serve it over mashed potatoes. I am excited about recipes for Trim Healthy Mama friendly sweeteners. I’ve been making more things following their plan as well as keeping gluten and soy out of my diet as much as possible. Until I have space to make it up and everything I need to make some of my favorites, those are being saved for a later time. Do you and your family struggle with getting dinner on the table? Would this particular resource be helpful for your family? Don’t just take my word for how we found this to be. 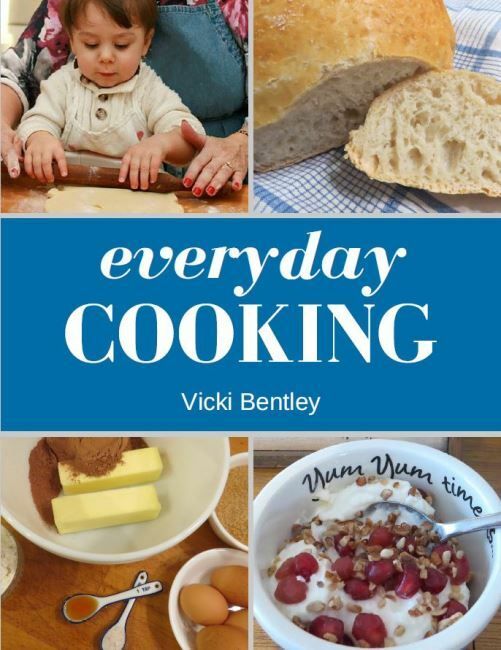 Visit Everyday Homemaking review post on the Homeschool Review Crew website to see what other homeschooling parents thought about this book. I'm so glad you are enjoying the cookbook. Do take a peek back through at the many pressure cooker recipes in there--they may be more doable for you in your RV (and I hope you get your kitchen back soon?). The boys may really like the pressure cooker cheesecake! Thanks for reviewing the book...again! LOL I hope you found the expanded version to be a good value. Vicki, I am definitely working my way through the pressure cooker ones for now. We'll soon be back in Alaska with a full kitchen, but not all my cooking implements. At least we can do things in the oven then. It was a pleasure to review this new edition. Lots of great recipes and tips inside!